You have 8 members on a project. One more member is added to the team. How many additional communication channels are added to the project? Now, here's a quick way to solve this problem. Additional communication channels when a new member is added to the team is equal to the number of existing members on the team. In this case, we have 8 members on the team. So, when you add a new member, additional channels will be 8. Easy, isn't it? Now you may ask, what if the question says that two new members are added. It's almost as simple as the previous case. Imagine that you are adding the members one at a time and use the same trick as above. If project has 8 members, and you add one more, additional communication channels are 8. The number of team members become 9. Now if you add additional team member, the communication channels increase by 9. Therefore, if the team grows from 8 to 10 members, the number of channels increase by 8 + 9 = 17. 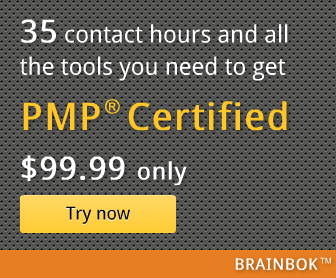 As you can see, using this simple trick, you can save valuable time on the PMP exam. I have a question regarding communication channels.you are a project manager with seven team members.one more will be joining soon.what will be the number of communication channels after new member joins.Question is how do you know if the project manager is included in the seven members or not.